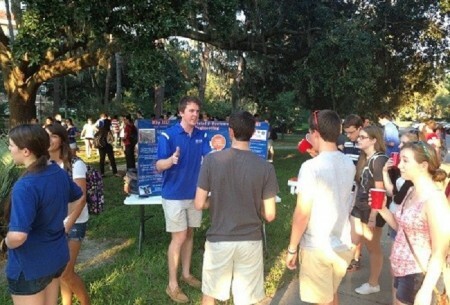 During the second week of classes this fall semester, the ISE Ambassadors hosted a cookout welcoming new and returning students as well as educating those uncertain of which major to select. Attendance at the Yulee Pit/Broward Beach area on campus exceeded 100 students, emphasizing the growing interest in and awareness of the ISE department. This inaugural cookout was a success in introducing prospective ISEs to experienced students and keeping them connected to the continuous flow of events organized by the various ISE student organizations.